Prior to mounting new bearings, be sure to inspect both the shaft and bearing housing to ensure mounting surfaces are clean and free of burrs, dirt and other debris. Presence of debris on the bearing mounting surfaces may lead to improper seating of the bearing, thus negatively impacting bearing life. Single row tapered roller bearings have a separable design, i.e., the inner ring and the outer ring can be separated and installed. Installing the components separately can make assembly easier. Pressing Surfaces – Press bearing (inner ring) to mount to the shaft. Press the race (outer ring) to mount inside the housing (See Figure 1). When applying a mounting force to a bearing/race during installation, be sure that it is evenly distributed and at a right angle to the shaft or the housing. Always use proper tools for mounting bearings/race. Never directly pound on the bearing or race as it may lead to irreversible damage. Lubrication – Always ensure proper lubrication of bearings. Lubricant should be selected based on the operating conditions of the bearing, including temperature, pressures, speed, and the presence of water, moisture or other contaminants. Insufficient/improper lubrication can lead to bearing failure. Single row tapered roller bearings are generally mounted as opposed pairs so that thrust loads in either direction can be supported. 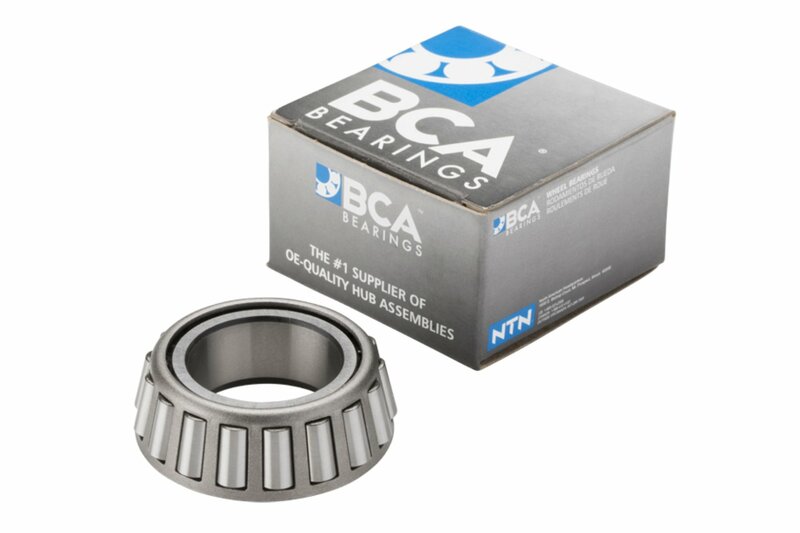 It is recommended that both bearings in an opposed pair are replaced at the same time. Always follow manufacturer specified bearing adjustment procedures. Overtightening leads to excess preload and can cause early failure. Under-tightening leads to excessive endplay, thereby reducing bearing life. Always keep the bearing covered (or in the original packaging) until you are ready to install it. Bearings can become contaminated with dirt or other debris, which can lead to damage of the rolling surfaces, causing noise and reduction in bearing life.